It has just poked its head above soil only to find that there is very little light, it’s cold and there are still a couple of months to go before the weather is good enough to guarantee no frosts at night! The worse thing for a tomato seedling is to be sat in a dish of cold water with saturated soil – especially at night when temperatures drop. Too much water takes the air out of the soil and makes it difficult for roots to grow properly. Also, if watered heavily from above, seed compost can become compacted – a bit like a lump of mud! To make things worse, if the seedling is fed tomato food, it will damage its sensitive roots (tomato food should only be given to established plants that are fruiting) and after a couple of weeks the poor seedling catches a fungal disease and looks near death or dies! As a tomato plant gets older, it will need more water and food – but not when it’s young. A tomato plant with lots of leaves and growing fruit needs a lot of water – especially if grown in a hanging basket in very warm weather. 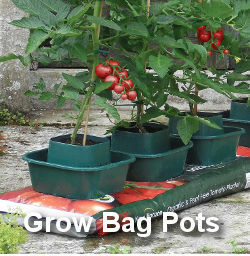 When plants are older they also need feeding regularly, especially if grown in containers where resources are limited. 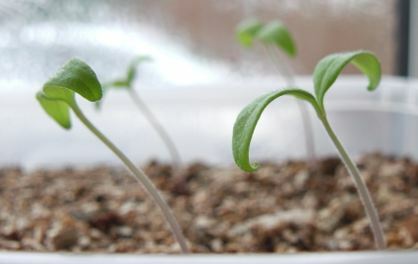 However, it is generally true to say that on a scale of ten, a seedling needs one out of ten, and a fruiting plant needs ten out of ten – of both water and food. So keep the soil very slightly damp with seedlings and don’t feed them – seed and potting compost already contains enough food to take them through to their first transplant into an individual pot and perhaps multi-purpose compost or something similar. Liquid seaweed extract is sometimes used on seedlings to encourage growth, but it is not essential. If seedlings wilt give them a spray/mist with water – it’s the quickest way to revive them. It’s so easy to kill plants with kindness – a bit like over-feeding tropical fish! I’ve spent years reading tomato growing books, asking advice from other allotmenteers and trawling the internet so that I can build up my own files. 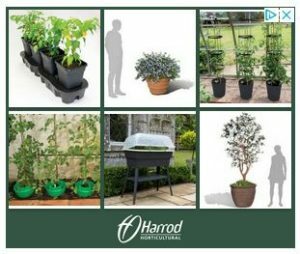 I still, of course, have failures but your tips are definitely the way to go to minimise my occasional tomato plant manslaughter. How I missed your site I don’t know but now that I’ve found it I’m sticking with it. Your information, advice and understanding of the little creatures is the best and clearest; thanks. Thank you Hamish, I’m pleased that you’ve found the website helpful!